Beginning with a simple triangular wedge, Leapman shows how multiple knit triangles can be joined together to create square, rectangular, trapezoidal, and semicircular shapes. Her easy and customizable technique offers knitters of all levels endless flexibility in design and yarn choices. 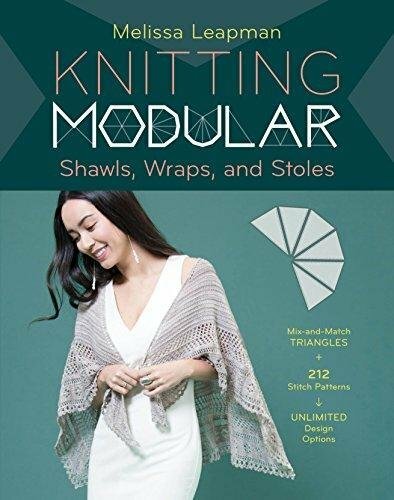 Charted patterns for 212 different stitches allow readers to select their favorite embellishment for the main fabric of their shawl. Colorful photographs of 20 of Leapman’s original designs illustrate the creative potential of this technique.